Welcome by our representative at Leh Kushok Bakula Airport and transfer to Hotel. Arrival Leh Kushok Bakula Airport (3500m / 11565 feet above sea level). Upon arrival welcome and meet by our representative and transfer to Hotel/Guest for check in wherein welcome tea and coffee will be served. Complete half day rest at hotel for acclimatization as it is important at the height of Ladakh. Lunch will be served at 02:00pm. Afternoon around 3:30 PMsightseeing to Shanti stupa and 17th century Leh palace. Overnight at Leh in Hotel. Full day sightseeing of Indus valley monasteries. (Round 94 km - 5/6 hrs). 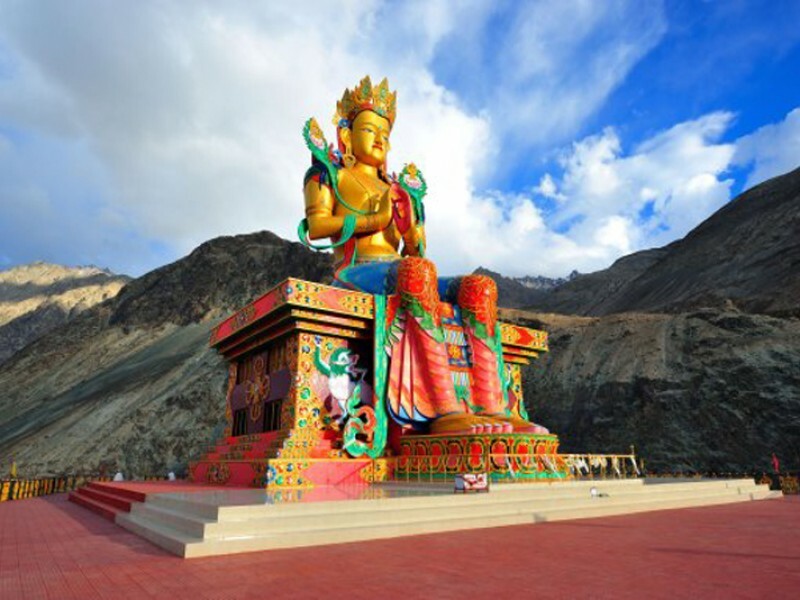 Today after breakfast at 8am full day sightseeing of Indus valley, 16th century Shey palace – King Chapel, 14th Thiksay monastery and 17th century Hemis monastery. Sightseeing start with 17th century Hemis monastery 47km from on the way stop to take the photos picturesque view of Shey palace and Thiksay monastery. After Hemis monastery drive 14th century Thiksay on the same way back. Visit Thiksay monastery and Lunch at Thiksay monastery restaurant. After Thiksay monastery drive back to Leh on the way visit 3 Idiot Rancho School, 16th century Shey palace and Sindhu Ghat. Evening at leisure to explore the city on your own. Overnight at Leh in Hotel. Leh – Sham valley – Leh. (Round 240 Km 8/9hrs). 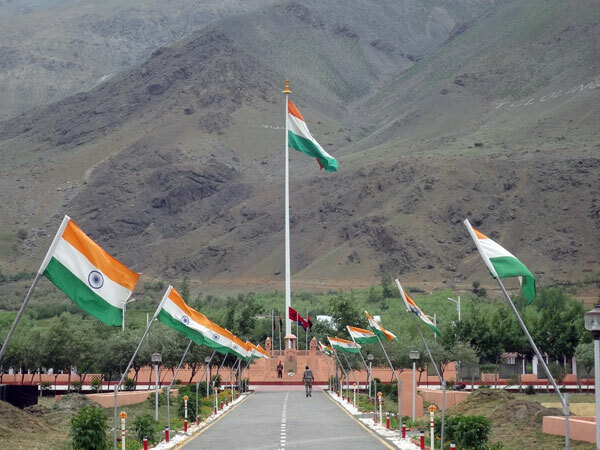 After breakfast you drive downstream along the River Indus on Leh – Kargil Highway. Enroute visiting, Magnetic Hill which defies the law of gravity and panoramic view of Indus – Zanskar River confluence. After confluence drive to Likir monastery biggest Gelugpa monastery in Sham valley, monastery have beautiful wall painting of tantric deities which was hand work famous Ladakhi artist who was master in Tibetan Buddhist arts and on the side of monastery 87 feet statue of Maitreya Buddha. After Likir monastery drive to Lamayuru and take photo of panoramic landscape of Lamayuru popularly known among the tourist as moon landscape and picturesque Lamayuru monastery. Lamayuru monastery have three portions, oldest part is Singgay Lakhang builted in 11th century by Lotsava Rinchen Zangpo, second parts was builted in 12th century, third was new one builted in 18th century. After visiting Lamayuru monastery drive to Alchi monastery on the same way back toward Leh. Lunch at Alchi in Restaurant. After Lunch visit 11th century Alchi monastery, listed in world heritage site. After Alchi drive back to Leh on the same road. You will reach Leh around 6:30 PM. Dinner & overnight at Alchi in hotel. Flight Leh – Delhi. After early morning breakfast transfer to the airport and fly back to Delhi with memorable tour of Ladakh. Tour and service end.